In the late 1970s, I attended an ASCE Hydraulics Division Specialty Conference in College Park, Maryland. One of the papers presented there dealt with the numerical modeling of unsteady flow, a hot topic in those days. During the presentation, the speaker stated that flood wave attenuation was due to channel friction. I waited until the end and approached the speaker on a one-to-one basis. I said, "I do not think that channel friction, per se, is the cause of wave attenuation. If this is the case, how is it that kinematic waves, which are governed by friction, do not attenuate?" The speaker sensed I had spoken correctly, and said: "You are right. We need to take another look at this." A few years later, seeking to clarify the issue, I wrote a technical note on the subject.1 We now know with certainty that wave attenuation is caused by the interaction of channel friction with the pressure gradient (the diffusion wave) or channel friction with inertia (the dynamic wave), but not by channel friction interacting with gravity (the kinematic wave). 1 Ponce, V. M. 1982. Nature of wave attenuation in open channel flow. ASCE Journal of the Hydraulics Division, Vol. 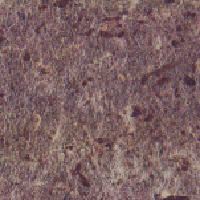 108, HY2, February, 257-262. 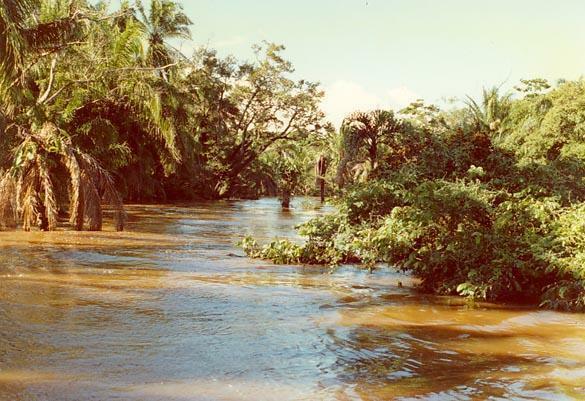 The Chané river at flood stage, on January 19, 1990, Santa Cruz, Bolivia.